Smart Buddy Programme Has Parents Watchful - But Should They Be? The Smart Buddy Programme Has Gotten S'porean Parents Watchful - But Should They Be? 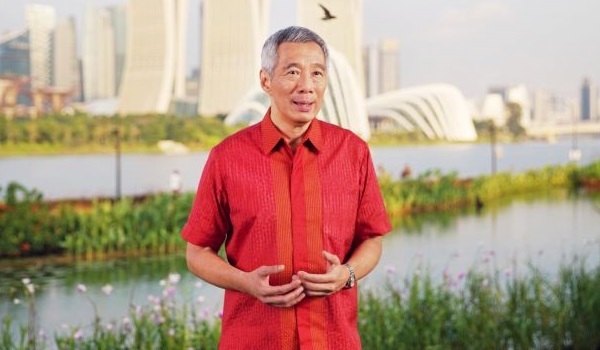 On 24 November 2014, Prime Minister Lee Hsien Loong announced the launch of the Smart Nation initiative, stated that Singaporeans “have already started on this Smart Nation journey” and listed down a variety of reasons that make us ready to take on this nationwide tech upgrade. Some of the plans that have been implemented or are in testing phases are BLOCK71 (there’s one in San Francisco, JTC Launchpad, Jakarta, and an upcoming one in Suzhou), Wireless@SG, SGInnovate, and IMDA’s Lab On Wheels for the youth. Oh, and there are now high-tech kopitiams. The latest scheme is an app developed by GovTech, the Urban Redevelopment Authority (URA), and the Housing Development Board (HDB) “that will eliminate the need for parking coupons at carparks without the Electronic Parking System”. DBS has also been keeping up with the Smart Nation initiative, developing new ways to pay. POSB has recently launched a new banking programme for primary school students after running a pilot programme last year. 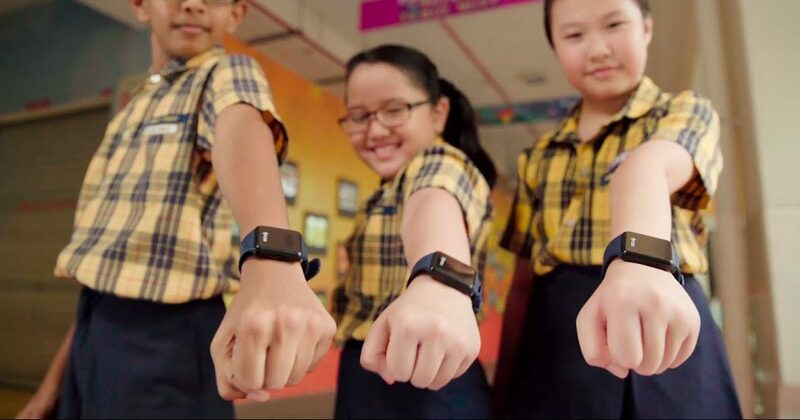 If you haven’t heard of it, the Smart Buddy programme basically gives a primary school student a smart watch that acts as an e-wallet, fitness tracker, and a location device for primary school students. 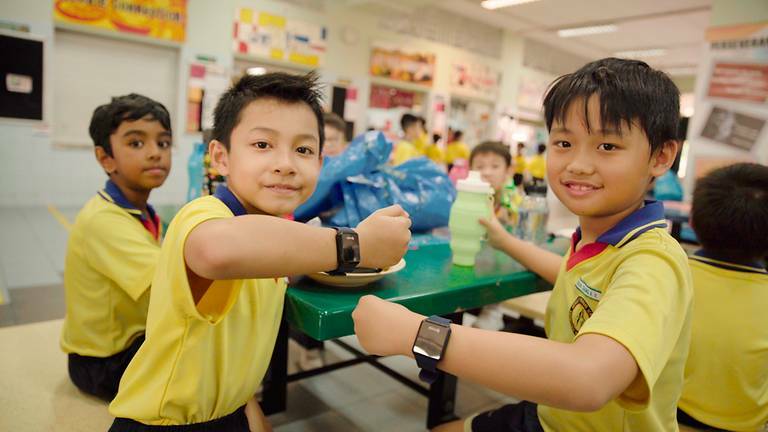 Parents can transfer money to their kid’s bank account (that is connected to this watch) and students can use it on cashless terminals in school for food and stationeries, and also at external vendors. With all these new tech upgrades and smart programmes put in place, some people wonder how these rapid advancements will affect their lives? In our bid to become a smart nation, are we inadvertently forgoing some wisdom and intelligence? As a parent, I’m concerned about the cashless system that is reportedly going to be implemented in primary schools. TL;DR – by introducing so much technology in our children’s lives, some interpersonal skills may be missed out, and important life lessons such as learning the value of tangible money may be compromised. Majority of the netizens who commented on her post echo similar sentiments, with some saying that this will put the poor in an even more disadvantageous situation than they already are. Another netizen, Eden Ho was concerned about how our future generation “will not value the money that they have in hand when all are just digits”. I asked my colleague, Esther (25) a mother of two, whose older child is entering primary school next year, for her opinions. Her immediate reply was a shake of the head. She explained that she would want her children to learn the value of money through counting and that, in a sense, would benefit them in learning mathematics. I asked another colleague who’s currently single, Zafirah (27) what she thought of the programme for her future children. Right now, I am 25-years-old and about 15 weeks along. When I first wrote about POSB’s Smart Buddy programme, my immediate thoughts were as a millennial citizen of Singapore. I thought that a smart watch would be a convenient and functional wearable for everyone – it felt like the Apple Watch and a Fitbit combined into one. I was reminded of my solo trip to Hong Kong in 2016 when I saw signages of an ‘Octopus Watch’ in their MTR stations. A closer inspection allowed me to find out what they were about: watches that could act as the Octopus card, so Hong Kong commuters can just scan their watches at the gantries and hop on the MTR. I thought it was really avant-garde. 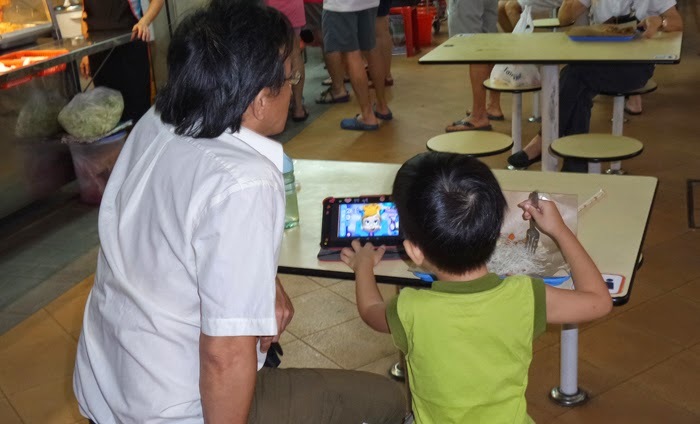 Then, I thought about how young Singaporean parents would use the programme. ‘Horror’ stories of competitive and overprotective millennial parents are frequently shared on social media and forums, such as the father who sued a school over his son’s confiscated phone. The location functions in the watches can be easily abused by ‘helicopter parents’. I imagined paranoid parents checking the app frequently, remotely monitoring everything from what they do in school to where they are during school hours. When I casually sought out the opinion of my close friend on DJ Peifen’s perspective, she asked me what I thought as a parent. At first, I thought it was a pretty good way to monitor my child’s expenditure and also have a peace of mind as a full-time working parent, knowing that my child has safely arrived in school or home. But after much thought, I decided that introducing technology into children’s lives at an early age is more disruptive than constructive. In my own experience, I have witnessed how so many times, young parents would whip out the iPad in order to appease a crying toddler on the train or in the restaurant. I am pretty much guilty of it myself, using my mum’s smartphone on my 2-year-old cousin just so we can have a better time feeding him at mealtimes. I mentioned that I have bad money management skills earlier; as an individual, I find my bank account almost empty halfway of the month in – after my savings, insurance, bills and repayment of school fees. Before I opened my very own bank account at the age of 18, I can safely say that I was much richer than I am now. When I saved the old-school way, seeing the growing stack of $2 notes, $5 notes, and hearing the ‘chink‘ of the coin as I drop it in a glass jar were very satisfying. Trawling DJ Peifen’s post for more parents’ insights led me to find this Facebook page started by a parent who felt really strongly about the POSB Smart Buddy programme. It makes me wonder if we are truly ready to embrace being citizens of a Smart Nation. In this year’s National Day Rally, Prime Minister Lee Hsien Loong recounted a story of Minister of Parliament (MP) Lim Swee Say’s past experience in Shanghai. Briefly, MP Lim wanted to buy gao lak (chestnuts) at a roadside street stall and noticed people in front of him “waving their handphones before taking their chestnuts and leaving” – which he assumed was an activity for a promotion. 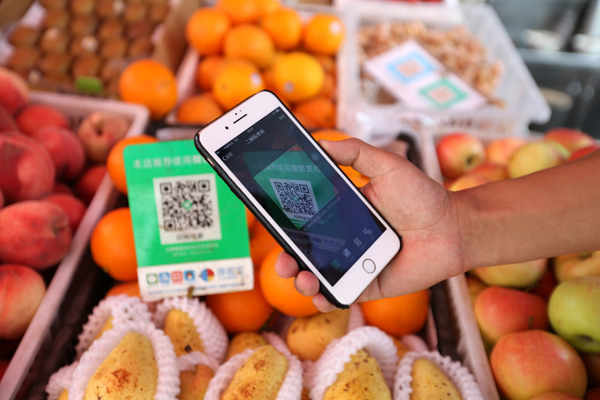 He decided that he would miss out on the offer (because he can) and attempted to pay the full price in cash but was directed to a sign with a QR code by a puzzled hawker. The story ends with MP Lim feeling like the “suaku one” for not knowing that the QR code was for WeChat Pay. PM Lee explained that WeChat Pay and AliPay are common modes of payment in China, from getting a cab to tipping the waiter. So when visitors from China find that they have to use cash here, they ask: how can Singapore be so backward? In what it seemed like a response to that question, he then talked about PayNow, a new cashless payment system developed by the Monetary Authority of Singapore (MAS) where users can transfer money to another person with just a phone number. I already have peers using PayNow and PayLah! like it’s the most natural thing to do, but there are a lot of people like me who haven’t really bothered to try this new mode of payment. Perhaps, with smoother integration methods or systems to help certain groups of people transition better, and with more patience in educating the public, going cashless would not see so much resistance right now. With that said, there is a lot of work that needs to be done to ensure that going cashless will be truly a boon for Singapore and Singaporeans. Will The Watch Eventually Prove Its Worth? While I can understand the ire of many parents, I think that with time, the Smart Buddy programme will eventually prove its worth. Like I said earlier, this programme may disrupt my child’s childhood. But as parents, we all have the duty to educate our children – modern education is no longer left up to the educators in education institutions any more. With a lot of patience, discipline, and the initiative to learn, teaching our children the value of money and relevant soft skills is possible. We just have to remember that all of these are not an institution-given curriculum we should take for granted. I suppose people will embrace each Smart Nation modules with enough information and time to come. Whether or not we like it, technology is here for good, and the least we could do is make it work for ourselves.